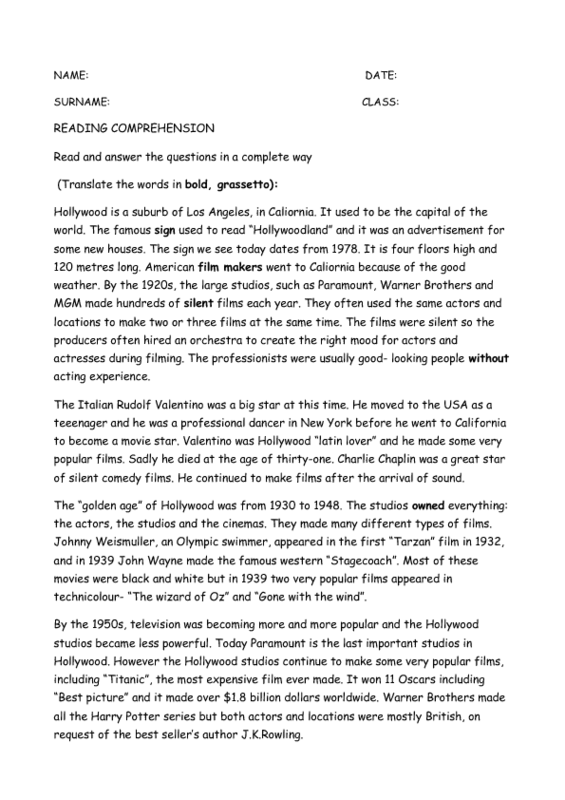 A reading comprehension about the 'golden age' of Hollywood and the cinema of the past. There's a true-false exercise and some open questions mainly for the simple past tense. 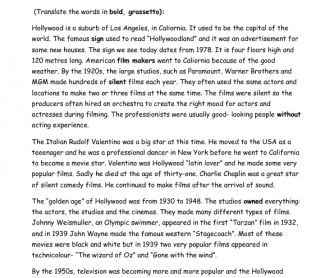 It can be used to test reading comprehension or as individual homework to practice using a bilingual dictionary.